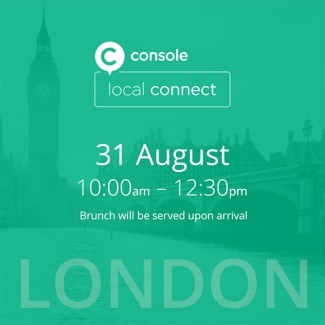 Console will be hosting the second Console Local Connect event on the 31st August. This time the event will be taking place at 41 Portland Place in London. If you are interested in attending the event, please email events@console.to to reserve your space now. Spaces are limited and will be allocated on a first come first served basis. Click here is you would like to read about the success of the first event hosted earlier this month in Manchester.